The near-bankrupt Kingfisher Airlines has been grounded since 2012 and owes banks over Rs 9,000 crore, far less than bigger defaults in sectors like metals and infrastructure. MUMBAI: Kingfisher Airlines (KFA) founder Vijay Mallya is a "victim of flamboyance and arrogance rather than any political conspiracy", Air Deccan chairman G R Gopinath has said. Gopinath, who is credited with making flying affordable through the no-frills airline, also said that the prevalent regulations "forced" KFA to acquire his company. He sold Air Deccan to KFA for a total consideration of Rs 1,000 crore in 2007, during the heydays of the aviation sector. "I think he (Mallya) has become more a victim of flamboyance and arrogance than of any political conspiracy," Gopinath told PTI over the weekend. A regular at global partying circles, Mallya, whose interests include Formula-1 and an annual swimwear calendar, moved to London amid growing attention from the Indian law enforcement agencies and courts. He has now become the poster-boy of defaults. The liquor baron was "not wise" about his activities during the days of default, Gopinath said, referring to him as a "political football", who borrowed money when the Congress-led UPA government was in power. Without naming political parties, he pointed out that one party was disgruntled that Mallya was allowed to leave the country, while the other blamed the former for not taking adequate action against him for defaulting. He also acknowledged that Mallya is a "poster boy for loan defaults", and hence, "both parties politically find him too close for comfort". Politicians from both parties have "been seen" socialising with Mallya, and have been witness to his overindulgent habits including Formula one races, and IPL matches, yet they accuse each other, Gopinath pointed out. 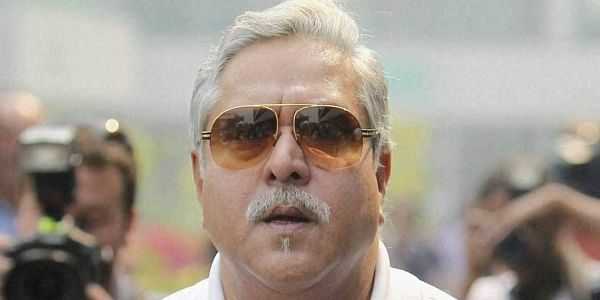 Reiterating that Mallya is not a victim of any politcal conspiracy, Gopinath once again said he has become a "hot potato" for all, which has led him to be "politically abandoned". Gopinath was critical of the fact that Mallya fled the country and hinted that he should have paid back his dues using the wealth from his other companies. "I think he should have acted sooner by mobilising funds from his other liquor companies and rescued Kingfisher Airlines. But it was too late," he said, adding that if competitor Spicejet could be saved, Kingfisher could have also been saved. While speaking about the factors leading to KFA's indebtedness, Gopinath conceded that the money required for the acquisition of Air Deccan could have been one of the factors, but underscored that Mallya was forced to buy the low-cost airline to make it eligible to fly overseas. "A domestic airline would not be allowed to fly overseas unless it has completed five years of local operations, which discriminated (against) Mallya. It was to favour Jet. Since he was competing against Jet Airways at that time, and wanted to fly international, he bought Air Deccan to overcome the five year rule," Gopinath said. He (Mallya) asked the government to relax FDI in aviation, which at that time barred foreign airlines investing in Indian carriers. Jet opposed it and the government did not allow. "But when his airline (KFA) was grounded, hastily this policy was changed and the government permitted Indian carriers to get up to 49 per cent equity from overseas airlines," Gopinath said. Gopinath also said that the luxury airline business model introduced by Mallya was "not fit" for the Indian market. In his latest innings in the aviation sector, Gopinath's Air Deccan started flights under the UDAAN scheme which aims to improve connectivity between smaller towns and larger cities.